Still on the fence about attending our bake sale on Saturday, December 6? Here are some facts that we hope will change your mind! 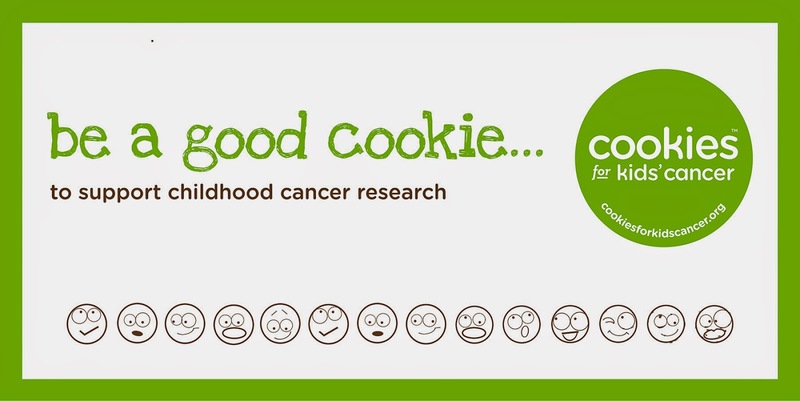 All proceeds from our bake sale go directly to Cookies for Kids' Cancer! Cancer claims the lives of more children annually than any other disease – more than asthma, muscular dystrophy, multiple sclerosis & AIDS combined. An average of 46 children per day are diagnosed with cancer totaling nearly 13,000 new cases per year. Cure rates have improved dramatically and advances in childhood cancer research has provided seminal insights into the cancer problem in general. Today, 4 out 5 children diagnosed with cancer can be cured. The major problem is that this cure rate has come at significant cost. First, the intensity of chemotherapy and radiation therapy used to achieve this cure rate has increased substantially, so that the majority of survivors have significant long-term complications of therapy. Clearly, cure is not enough. Of equal urgency, several cancers, especially the solid malignancies like neuroblastoma, have not shown improvement in cure rates and current treatments are at their maximal intensity. Indeed, several cancers have seen no significant progress in over a decade. Cancer research is essential to achieving the goal of cure with quality for all children with cancer. Cancer research is responsible for the achievements to date, with pediatric oncologists showing the world how to perform meaningful clinical research that influences clinical care. However, the next generation of research that will lead to meaningful differences is quite different, and will rely on a detailed understanding of cancer biology with a newly facile was to translate discoveries to the clinic. It is often said that it takes a decade to develop a new cancer drug. Clearly, this timeline is not acceptable. We have recently dramatically decreased the time line to get new targeted therapies to children with refractory cancer, and this new translational molecular oncology will be the pathway to the next revolution in cure rates. However, this type of research with demanding deadlines and urgent translation to patients is resource intensive. It is daunting that only 7/100 submitted NIH applications receive funding in 2011, and that it typically takes 1-2 years to receive funding after application. While long-term goals for the pediatric cancer community will focus on securing more federal funding for childhood cancer research (more than the 1-2% of the National Cancer Institute budget that is current expended), philanthropy plays a critical and essential role in the ongoing battle against childhood cancer. We raised over $8100 last year at our bake sale, thanks to the generosity of Milwaukeeans and matching funds from OXO and the Glad Corporation. This year, we have matching funds again from OXO -- but we'll need a few more buyers to meet our goal. Help us to make this year the BEST YET.